Official GLOW photos by #TheWinnersCircle Visual Communication Staff. 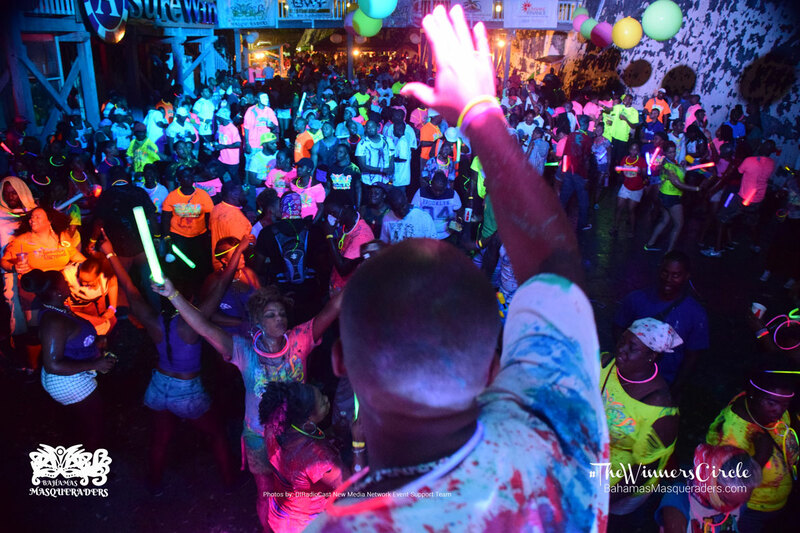 Friday, March 4, 2016 Bahamas Masqueraders hosted “GLOW” one of its three signature events. The event featured musical performances by Bahamas Masqueraders artists Benje and Bodine. The DJ line up consisted of #TheWinnersCircle official DJs, DJ Bravo, Epic Forealz, DJ Ming, Mighty Pencil and their newest addition, DJ Sanchez. Bahamas Masqueraders also introduced lead sponsor, A Sure Win to the excitement of #TheWinnersCircle.